On March 25th, DANMite Alumnus, Artist and Augmented Reality Guru, Phoenix Toews came onto the radio show to talk about his current work developing open source programming for location aware augmented reality for art generation, virtual gallery spaces and games applications. Since graduating, along with fellow DANMite Meredith Drum and Mitch Miller, Phoenix , the three began the company Augmented Mountain. They are currently in the throes of a kickstarter campaign, Open Source Palimpsest: Your Imagination, Any Place. They are looking for help to improve user interface, test and finish for use the open source program, Palimpsest. 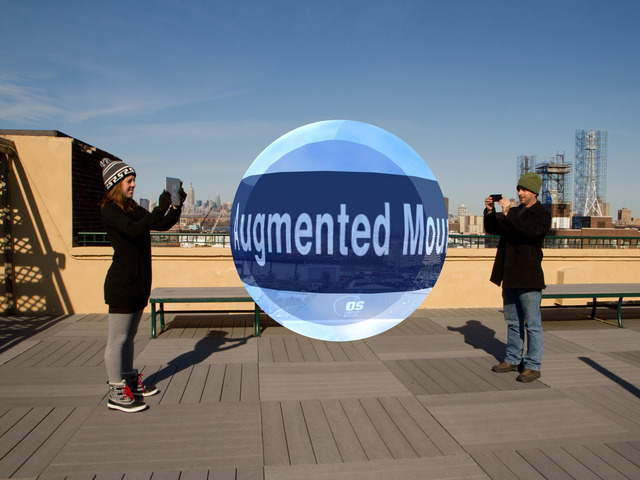 For two years, Augmented Mountain has been developing Augmented Reality (AR) apps. The team does this using a powerful and unique programming language called Palimpsest, developed by Phoenix. The name pays homage to Archimedes’ manuscript which contains hundreds of pages of math and theories explaining and questioning reality. Palimpsest enables the building of dynamic interactive computer generated environments which transform real world geographies. Augmented Reality is a new frontier in digital media. With your help, Palimpsest can lead the way. To hear Phoenix and Nada’s interview, visit http://www.artistsonart.net/phoenix-toews/.